3. Click next twice until you see the "Configure the Select Statement" screen, click on the "Advanced.." button. 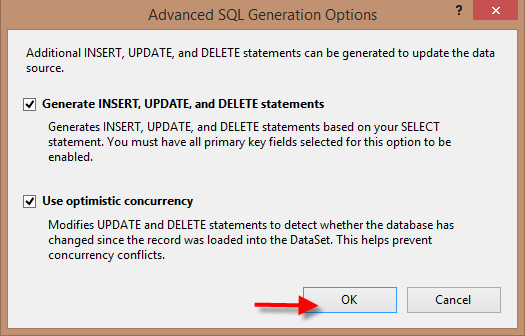 Then check the "Generate INSERT, UPDATE, and DELETE statements" and the "Use optimistic concurrency" checkboxes. Then click "OK"